It’s no secret that the holidays bring out the nostalgia in many of us, myself included. The sights, smells and emotions of the season can bring back distant memories and make them feel like yesterday. 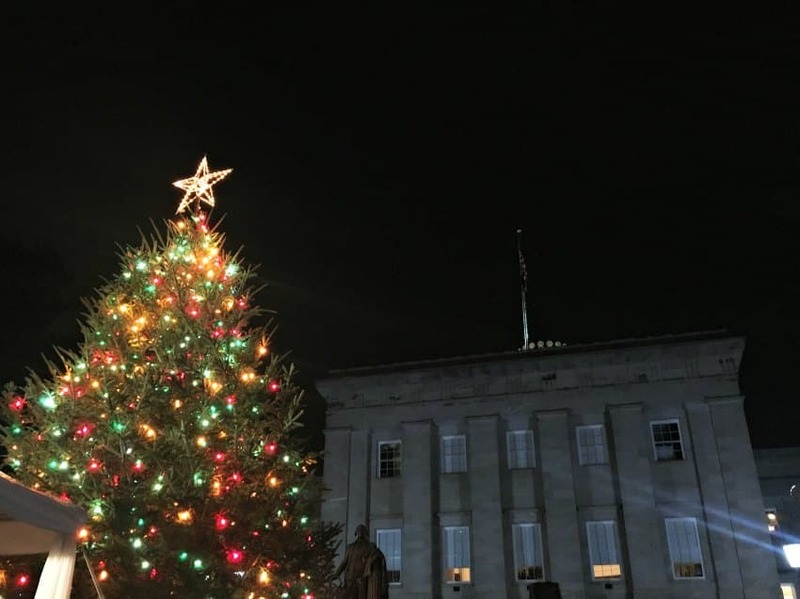 The Raleigh Capitol tree lighting is one tradition that brings up all of these happy feelings year after year. Traditions typically do this for me and my family has a few. 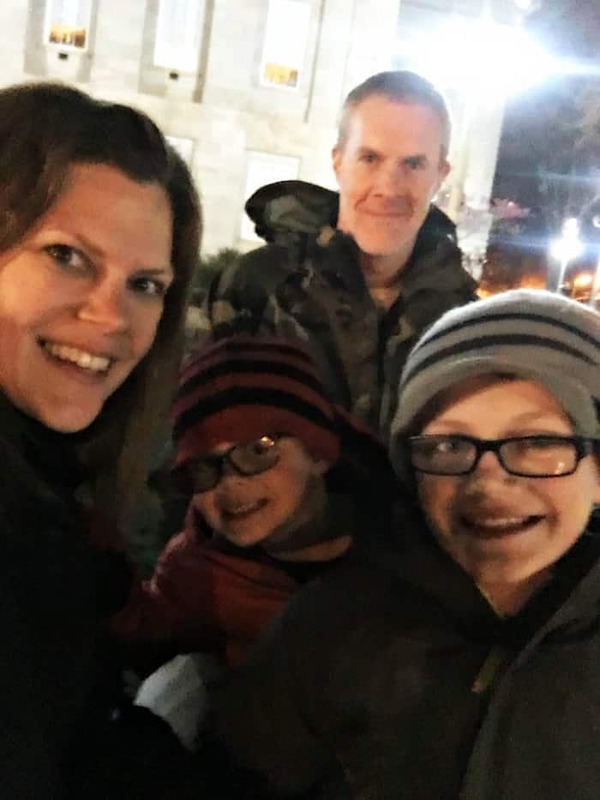 One of my favorite things to do each year is head downtown for a Christmas tree lighting. Fayetteville Street is a small, yet popular destination in downtown Raleigh. 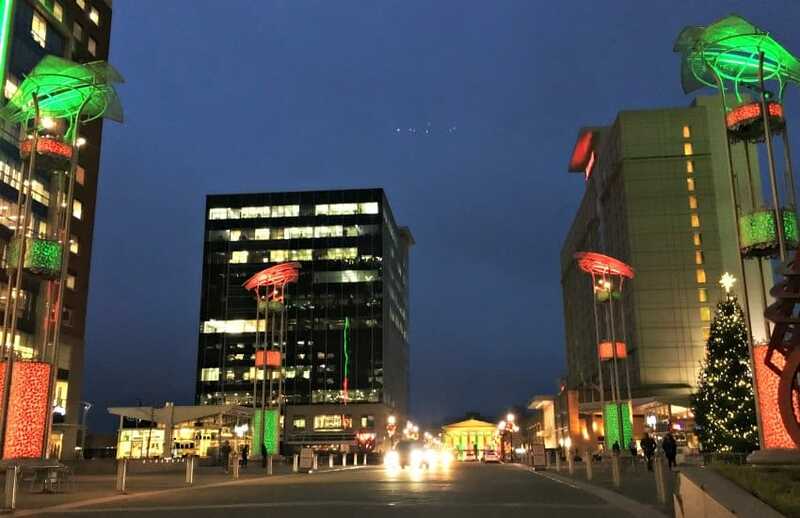 On the south end you’ll find the Duke Energy Center for the Performing Arts, and on the North end sits the State Capitol Building with plenty of restaurants and businesses in between. On this street, there are actually two tree lightings annually and we have gone to both over the years. 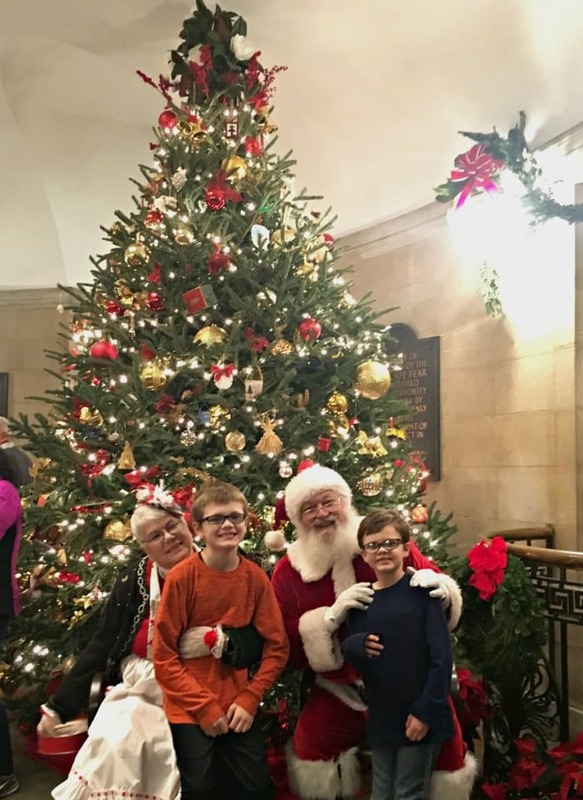 Last year, we enjoyed Winterfest on the south end and last week we enjoyed the Capitol Tree Lighting Ceremony on the north end. 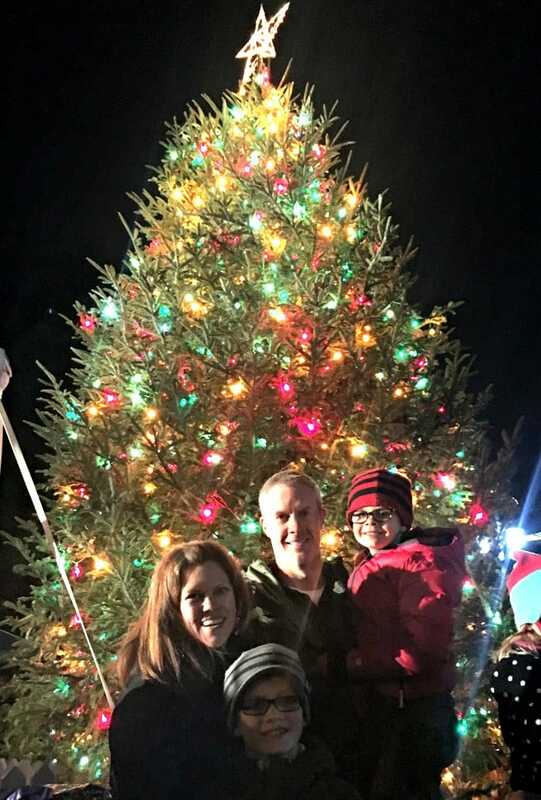 I love seeing these larger than life Christmas trees lit up and standing in the cold crisp air surrounded by my three favorite boys. We drink hot chocolate and eat dinner and meet Santa. It really gets me in the holiday spirit! I think part of me will always wish I lived in the middle of a big city so spending a few hours downtown, walking around together and enjoying all the lights makes me completely happy. I can pretend for just a moment that we do this every day and all is right with the world. 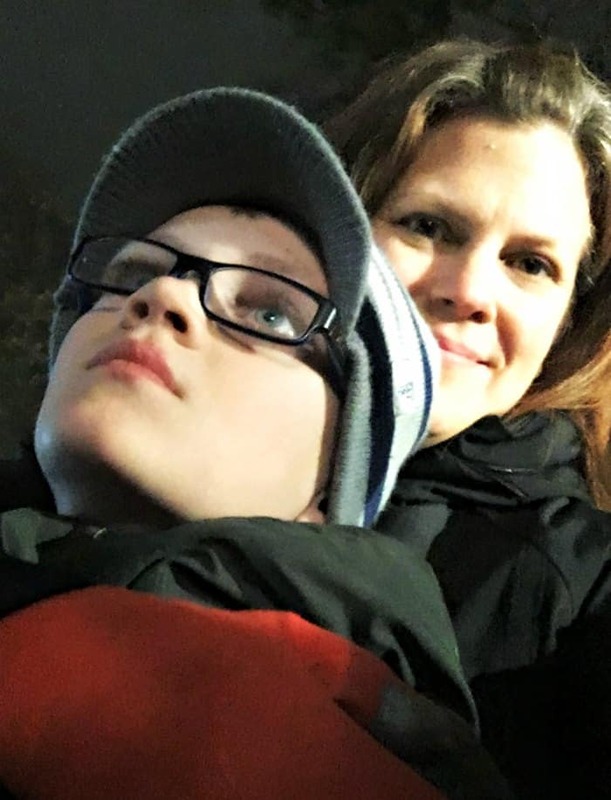 This year we had dinner at Jimmy V’s and walked down just in time to hear some Christmas music, listen to Governor Roy Cooper and count down to the beautiful sight. Oscar wanted to get close for the countdown so I sneaked little selfie with him. 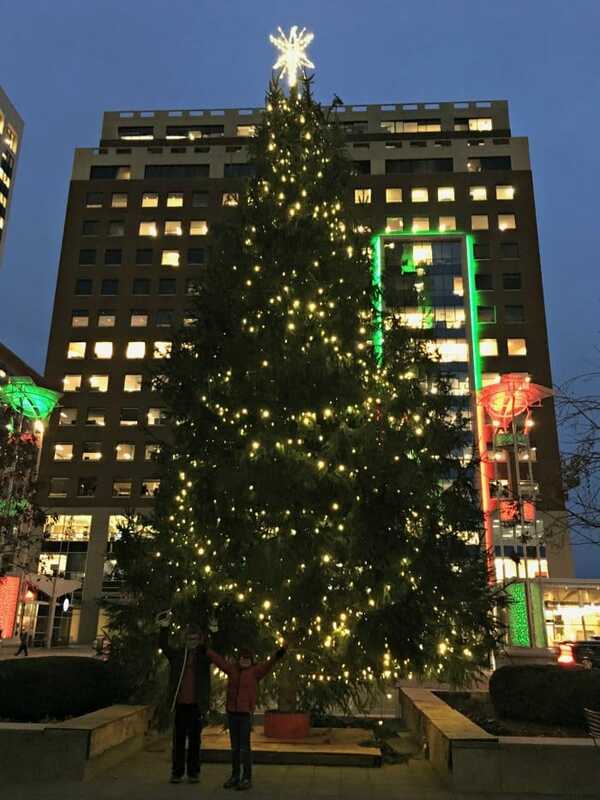 Here’s a little fun fact, North Carolina is the 2nd largest producer of Christmas trees in the nation! It’s no surprise then, that the trees on both ends of Fayetteville Street are full and beautiful. After the ceremony, the crowd is invited to tour the N.C. State Capitol Building. If you’ve never been inside, I highly recommend this part! This historical site is beautiful and full of history. You can look up and see the dome or climb to the top and look down at the decorations. And if you happen to be there when the carolers are singing, you are in for a treat! 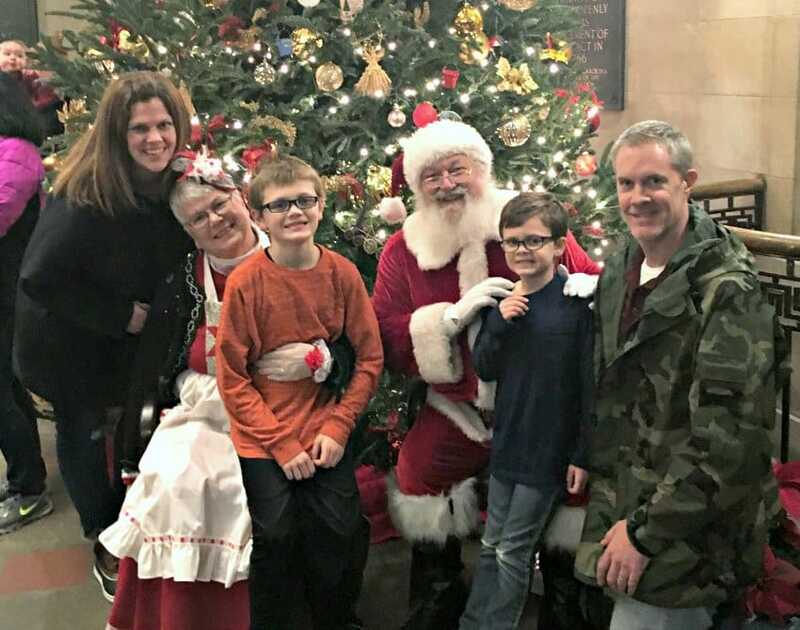 We met Santa and Mrs. Claus on the first floor on our way out. It was a great way to finish our tour! Oscar especially loved all the history and we could have stayed longer! It can get pretty crowded so we’ll have to go back for another tour. 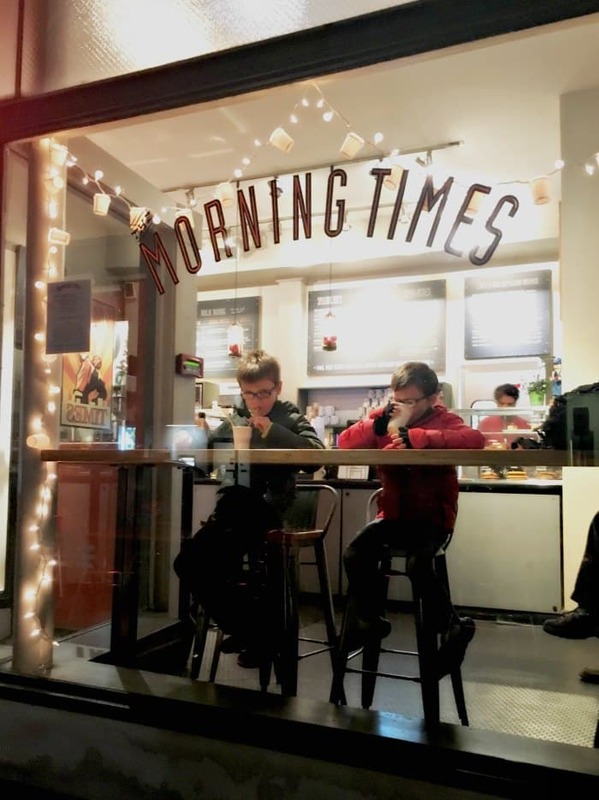 No holiday tradition is complete without hot chocolate so a stop at one of our favorite local spots, Morning Times on the way back to the car was a must! The boys loved sitting in the window and even though I only had my phone to take pictures, I managed to snap a few. There’s something about this one of the two of them that tugs at my heart. 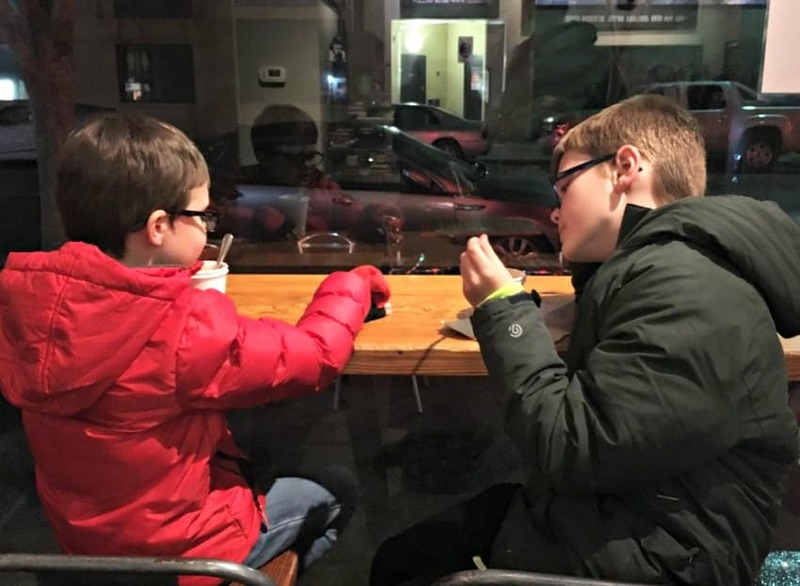 At the ages of 6 and 8 they definitely have their ups and down but I see a friendship forming and I can only hope and pray they recreate this scene over and over throughout their lives. 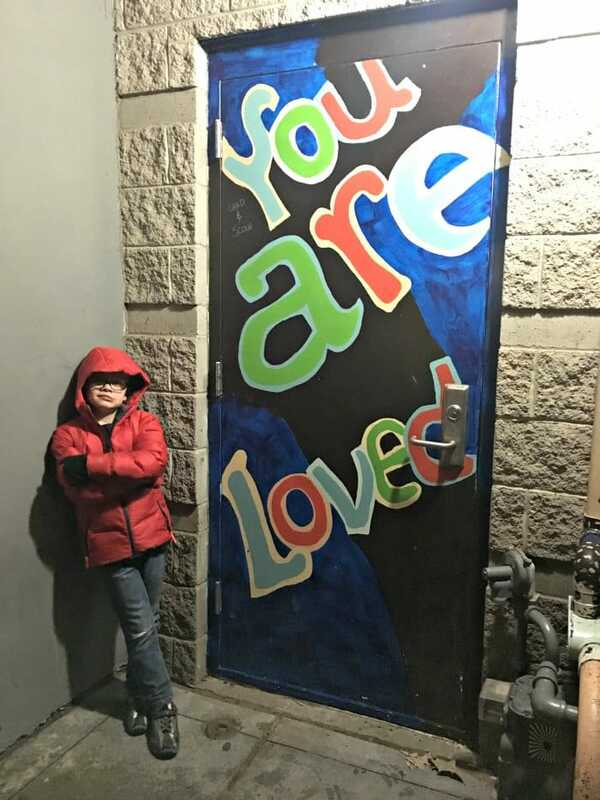 Traditions are fun and festive but underneath it all, we all want to feel loved and share love. That’s what it’s all about and I’m so thankful we took this time to spend together. I can’t wait to do it again next year! What are your must-do holiday traditions? 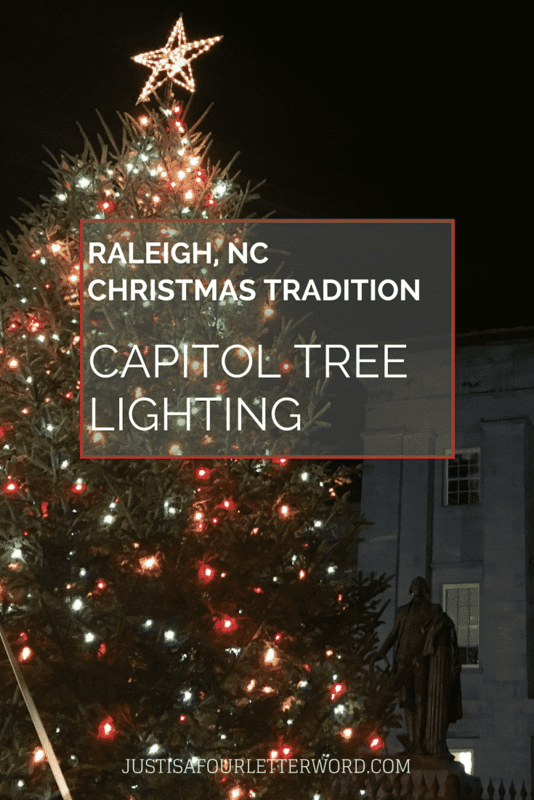 Have you ever been to the Raleigh Capitol tree lighting?